​Overwatch Talon is a terrorist organization in the game's universe. The organization and its members are seen as the main antagonists in Overwatch's lore and are a major threat to the world now more than ever. For those who might not be familiar with Talon, here are five interesting facts about the organization and its members! Gabriel Reyes, better known as Reaper, and Moira O'Deorain were both formerly members of ​Overwatch's covert ops division: Blackwatch. In the "Train Hopper" comic, McCree notes the Talon agents he is fighting are working the way Blackwatch once operated. 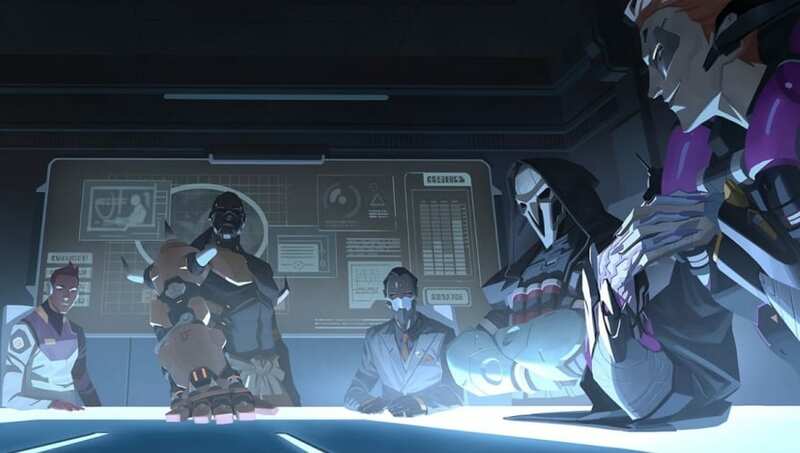 There is a possibility other Blackwatch agents joined Talon with Moira and Reaper, though it is also likely the same training and tactics Reaper used for agents in Blackwatch was being used in Talon. Moira was rumored to be involved with Talon at the same time she was in Blackwatch, and was more than likely a ​double-agent sent to destroy Overwatch from within. Within Talon's inner council is Sanjay Korpal, a Vishkar Corporation official. Vishkar is a megacorporation based in southern India that aims to create order and teaches individuals the manipulation of light-bending. Symmetra is a part of the corporation and ​is unaware of her employer's hidden agenda. The fact Talon and Vishkar are secretly working together is a fact ​Sombra hints at in-game. What the two organizations are planning is unknown. Out of the roster of 29 playable heroes, five of the characters are affiliated with Talon. Sombra, Reaper, Widowmaker, Moira and Doomfist are all members of Talon. There are at least 15 members in the inner council, three of which are the playable heroes Doomfist, Moira, and Reaper -- and a fourth known and alive character named Maximilien who is not a playable character. Despite being a Talon agent, Sombra might have her own hidden agenda, which is ​touched upon now and again in Overwatch. Talon kidnapped Amélie Lacroix, the wife of Gérard Lacroix. Gérard was an Overwatch agent who spearheaded the organization's attacks against Talon. When Amélie was kidnapped she was tortured, brainwashed and reprogrammed her as a sleeper agent for Talon. After returning home to Gérard, Amélie killed him in his sleep two weeks later. She returned to Talon afterward and was experimented on, trained, and replaced by the persona "Widowmaker." The experiments that slowed her heart were ​personally conducted by Moira, who is also responsible for Reaper's own condition. Talon's current belief is that humanity grows stronger through conflict, a line players might hear Doomfist recite in-game. He is the organization's leader and, as seen in the "Masquerade" comic, plans to start a new war. Although the effects of the Omnic Crisis can still be seen around the world in Overwatch, Doomfist is planning on causing havoc around the world to strengthen the human race. More specific objectives and plans on how to achieve the war are unknown, however.